Are you a worship ministry leader who’s finding it difficult to reinvigorate worship in your rapidly changing church? Worship is life. I live and breathe it. You could call me a church nerd and be spot on! I really care about the church and its livelihood. Bringing a faith community closer to God through deep and meaningful worship is something that I’m intensely passionate about. The church isn’t the same as it used to be. It’s easy to see the decline of the church and jump into “panic mode” or some random church-growth strategy that works for the church down the street. Hope for the future of the church does exist. But before you leap into the unknown, take a breath and read a little further. Because worship is the heartbeat of the church, our gatherings themselves warrant attention. There’s no silver bullet that works for every church. But, there’s nothing to fear – except for continuing to do the same thing that isn’t working, week after week. We will work together to reinvigorate your church’s worship life. Worship that works in your context – in your neighborhood. Worship that brings glory to God and spiritual transformation to the worshipers. 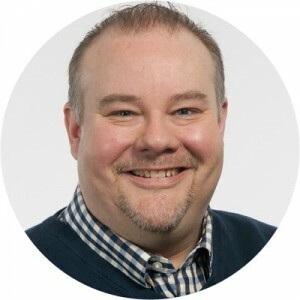 Based on his world of experience he has asked excellent questions and is helping it evolve into an expression of Christian faith that is making a real difference in people’s lives. I regularly talk to pastors, worship leaders, and musicians from all over the country who are struggling to know what to do. They see their churches declining. They want to stop it, but don’t know how. They feel like they need to do something different, but don’t know what to do. They want to grow their churches, but don’t know how to connect their parishes with the larger community around them. They want to be creative, but they’re too burned out to come up with ideas. And even if they do, are they going to lose their members if they try something new? Even if you feel unprepared for it, I am confident that you can design worship that is missional and meaningful to your worshipers. I am confident that the Holy Spirit will breathe new life into your faith community through this process. I am confident that I can meet you where you are and help you press on to be the future worshiping community you desire. 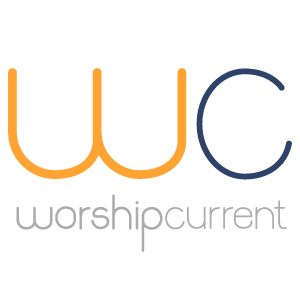 I’ll help you understand the nuances of different worship styles and how they can effectively draw worshipers in. I’ll help you discover your church’s worship-DNA so you can authentically move forward. I’ll help you generate enthusiasm and eliminate worries around the unknown. I’ll help you hire and coach the kind of worship leader/musician you need. I’ll even help you educate your church leaders on the logistics and benefits of new worship opportunities. Let’s put my experience to work for you! the creativity of a virtuoso, combined with the heart of a caring pastor. Worship Music Leader in Lutheran, Methodist, Presbyterian and Episcopal faith communities. Currently, I serve as Interim Director of Worship & Music at Redeemer Lutheran Church in White Bear Lake, MN and Alternative Worship Music Minister at St. Stephen’s Lutheran Church in West St. Paul, MN. That’s ok. It’s a lot to take in. Maybe we should just talk first. I’m sincere in saying that I’d love to connect with you! Send me an email HERE. If you’re not ready to have a conversation yet either, I’d still like to stay in touch. Sign up for my email list below.